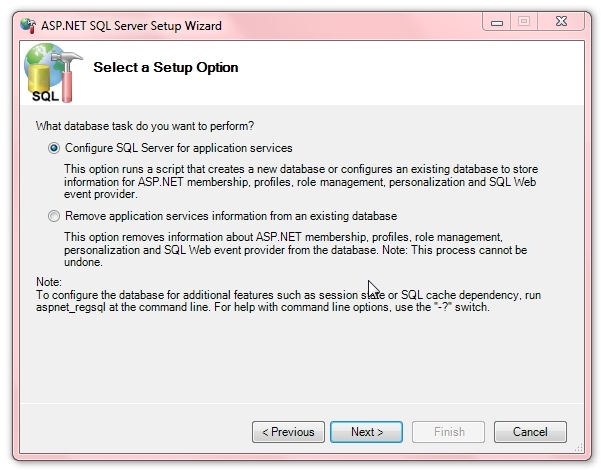 In this article I will explain how to install asp.net Membership database schema in Sql Server. 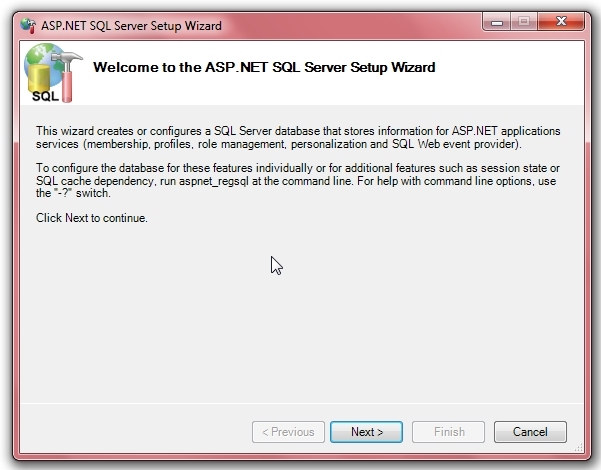 In one of my project I got requirement like using asp.net membership concept with custom database. First of all we learn what is asp.net membership? And why we need to use this one? By Using ASP.NET membership we can create new users and passwords and we can authenticate users who visit your site. You can authenticate users programmatically, or you can use the ASP.NET login controls to create a complete authentication system that requires little or no code and we can manage passwords, which includes creating, changing, and resetting them. 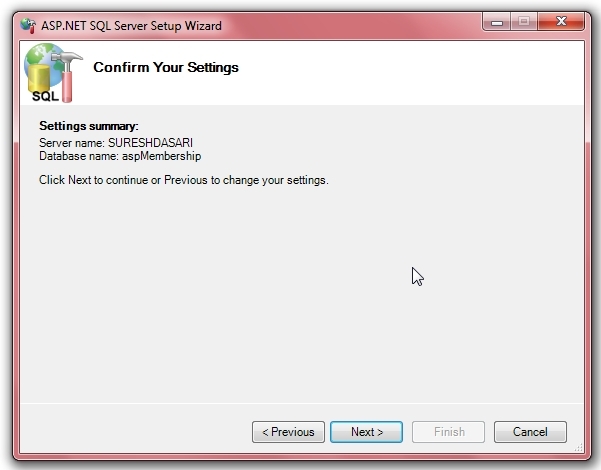 Now we will do the step by step process how to use Custom membership database. 2. 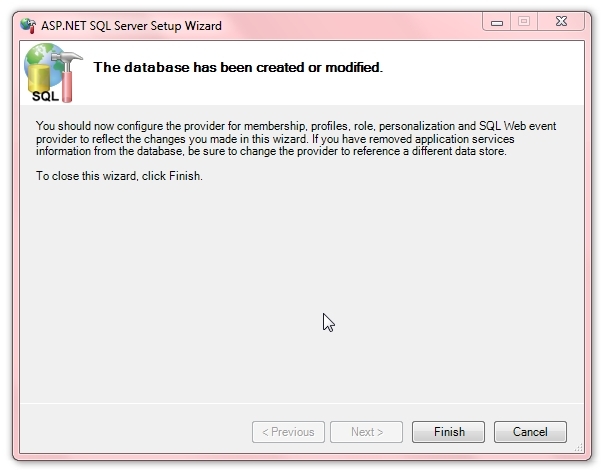 Remove application services information from an existing database. Now check your database everything installed and ready to use in our application. Thank you! You have NO idea how many help sites I've browsed to find this info! it gives error while creating database. 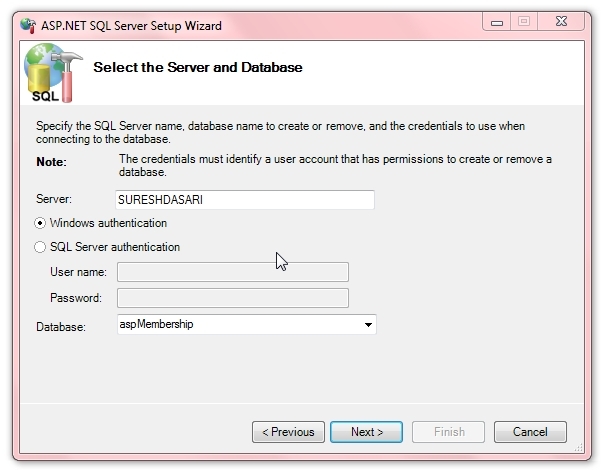 I tried it by creating database in sqlserver..it gives sign up page.. After clicking on create user it gives Server Error in '/Membership_Login' Application..Instance failure..
just,match the sqlserver name with sqlserver set up wizard window server name.. it should be the same..
so,u get connected to server and database gets created..
sir , i want to save this user details and role in my other database in sqlserver , tables as User , roles etc what should i do.. Thank you. It worked ! sir user can have same name in this world but membership takes different user name every time. What should do ?? please explain its urgent .